Online Milk delivery: A new milkman has arrived! Online milk delivery is at nascent stage currently but gaining a huge popularity from consumers as well as investors which inturn is generating maximum growth in this segment. One late night, in 2014, in Bangalore, Aakash and Ebrahim were working on a different business project- working and munching on cereal with milk. They went to get another serving of cereal and realized that they were out of milk. And those were the days in Bangalore you would have an app for everything –food, laundry, dating, marriage, personal errands, groceries, but there was nothing specifically for milk.It was that moment – why isn’t there an app for milk? They stayed up that night fuelled not by cereal, but rather an idea. Around 4am they went around the city to understand what the milk supply market was like. After weeks of research and surveys, they launched a beta version to test the market. They received a promising response, and were convinced that people not just wanted, but needed Doodhwala. Recently, this Bangalore strat-up has raised an undisclosed amount in pre-Series A funding from Tom Varkey, a partner at US-based hedge fund Stonehill Capital. Presently, the company serves serve 1500 + families, 5 corporates, 1 school and a 5 star standalone restaurant. Also, Woohoo doodh has an investing partner and got seed funding done by MrSujit Jain, founder of Netsurf Network. Last mile delivery is a challenging task for any online players. Even companies like Big Basket, Flipkart or Amazon are working on solving the last mile complexity. Speaking on same, Aakash and Ebrahim, said, “ Every company doing last mile delivery faces challenges when dealing with fresh perishables. The last-mile delivery represents the movement of goods from the hub to the final destination (customer). 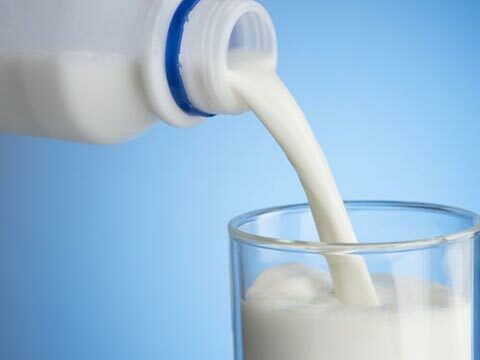 As an antidote to these challenges Doodhwala’s rapid innovation and evolving technology helps in optimizing our supply chain to keep up with our customer expectations and finding that sweet spot.”Currently, the company has 7000 milk subscribes in Bangalore in under 2 years, along with a rapidly growing customer base in Pune. Speaking on same, Gaurav Haran, Chief Operating Officer, MilkLane, said," Online retailing of dairy products provides brands an alternate channel with a more targeted reach and reduced cost due to the elimination of many intermediaries between manufacturers and the retailer. It allows tapping of pre-existing subscribers and access to accurate data which can elevate marketing efforts while creating a national footprint in terms of reach. For dairy brands, it can also be a platform for consumer engagement on the sustained basis. For new and upcoming brands it could provide the opportunity to display their full range of products overcoming the limitation of shelf space availability at physical retailers. Other than providing convenience to the consumers, brands are able to reach where they don’t have a physical presence." Going further Haran adds," online dairy shopping in India is still in its early phase, as majority still prefer the traditional way of buying fresh dairy products from nearby physical retail outlets. Hence, dairy brands could follow the hybrid model of leveraging both channels of milk distribution ensuring that they reach the consumers through all possible routes. Let time be the best judge for online retailing of dairy products”. During the December 2017 MilkLane has raised Rs 27 crore in a 'pre-Series A' funding round from a clutch of investors. Clearly, milk delivery business is already a profitable business. So adding the term online is just an enabler, this industry is bound to grow in the time to come.